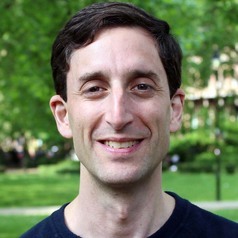 Ilan Kelman (http://www.ilankelman.org and Twitter @ilankelman) is a Reader in Risk, Resilience and Global Health at the UCL Institute for Risk and Disaster Reduction and UCL Global Health Institute. Ilan is also Thematic Director for Global Environmental Sustainability at the UCL Institute of Global Governance and a Senior Research Fellow at the Norwegian Institute of International Affairs, Oslo. His overall research interest is linking disasters and health, including the integration of climate change into disaster research and health research. He focuses on islands the the polar regions. As thematic director for environmental sustainability, he is examining the intersections between global governance, health, and climate change. Climate change is one hazard driver amongst many, so climate change adaptation becomes a subset of disaster risk reduction which sits within development and sustainability processes. Governance at all scales is needed for these actions. His publications have appeared in Global Environment, International Journal of Global Warning, and Geographical Journal, among others.